VroomVroomVroom makes booking a car hire in London easy! All you have to do is compare rental cars from trusted brands including Avis, Alamo, Budget, Europcar and Enterprise to find a vehicle that will best suit your budget and needs. London serves as the capital for both England and the United Kingdom. With so many car hire options in the city, it will be easier if you check through VroomVroomVroom since each supplier has a map of its depot. Great rates: We negotiated with our partners so we can provide the best price. Read our Price Promise to find out how you can get a great deal. Wide selection of cars: Whether you need an economy car for a solo road trip or an SUV for a family adventure, you can easily find it in our list since we compare deals from various brands. Convenience: There are over 30 depots in and around London to choose from, which makes it easier to find the one nearest you. You also have the option to book a car hire in Stansted Airport or Gatwick Airport. Excellent service: Our friendly customer care experts are ready to assist you. If you need help in booking a car rental in London and other pick up locations, feel free to contact us anytime. We have been helping people book a rental car for more than 15 years. any health documents if you have anything related to health on your license. If you have all these, then your pick up should be plain sailing (or driving!). Since the UK government has implemented the paperless driving licence, make sure to read our article for more information on that. Important note: When you pick up your car hire in London, you may be subject to the Congestion Charge that is in place. Also, if you have entered the zone, even for a minute or two, you will need to pay the daily charge. If you do not, then the you will be charged further for every day that you fail to pay, so make sure you pay on the same day that you enter the zone to avoid further problems as even though you got a great hire car from VroomVroomVroom, it is your responsibility to pay the tolls and charges when you use it. The most popular time to go to London is late spring and summer, but the prices tend to surge during these seasons so make sure to book a car rental, hotel and flight in advance. The warm weather makes it a great time to explore the city, enjoy outdoor activities and attend vibrant festivals including the Notting Hill Carnival, Pride Parade, and Lovebox. If you want to escape the crowd and snag some airfare and accommodation deals, visit London in the fall and winter. However, be prepared for chilly temperatures and buildup of tourists in December. Before leaving, check your map or GPS so you can plan your journey. It is also best to check the traffic situation in London via Guardian or Google Maps so you can choose the best route to your destination. Relying on the road signs for directions is not a great idea when you are driving lanes of busy traffic. The speed limit on inner roads are 30mph and remember that everyone drives on the left side of the road. During rush hour, it is best to just park your hire car in one of the Park and Ride stations around the London Burroughs and use the tube or bus to get around central London. Click here for more driving tips in London. With London being known for its arts, economy, catwalk, shopping destinations and UNESCO World Heritage Sites, it is a place where several lines cross and is a perfect venue to witness and learn more about the English culture. Whilst driving in London can be an art form of it's own, it is a 'must do' when visiting not only the UK's capital but the car rental capital as well. We at VroomVroomVroom have come up with a list of interesting activities that you can do during your holiday in the capital of Britain. London has many world-class attractions and most of them are free such as the National Gallery and Tate Modern. Check out our brief guide below. 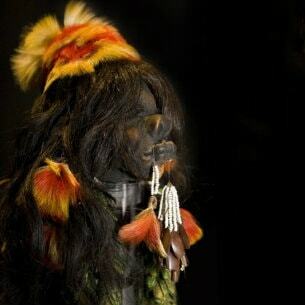 Marvel over an amazing collection of artifacts coming from different parts of the world at Ripley's Believe It or Not! London. Out of more than 30 museums, the London Odditorium is the largest of them all with over 700 galleries, exhibits, and interactive displays. Most of the artifacts at the museum came from Robert Ripley, who is a well-known cartoonist and entrepreneur. The museum takes pride of its massive collection of personal belongings from Marilyn Monroe. It is also famous for its interactive experiences such as the Marvellous Mirror Maze and LaseRace. Ripley's London is open every day from 10 a.m. until 12 midnight. Are you looking for some real action and not just sightseeing? Then make sure to take your family and friends with you at HintHunt which offers fun and simple escape games designed for groups of 3 to 5. Experience how it's like getting trapped in a room and find ways how to get out of it. There are 5 game rooms at HintHunt currently: three JM's Office and two Zen Rooms. Participants have 60 minutes to complete a challenge or they end up getting trapped in the room. This will teach you and your mates how to cooperate and work together to achieve on goal. Anyone is welcome to join the activity at HintHunt except for children below 8 years old (if supervised by parents) or 15 years old. Highly regarded in the industry as the Stonehenge experts, this established British company has a history of excellence under its belt. Operating daily tours, departing from London, Bath and Salisbury which include Stonehenge and explore the surrounding area - rich in History, Myths, Legends and Mysteries. 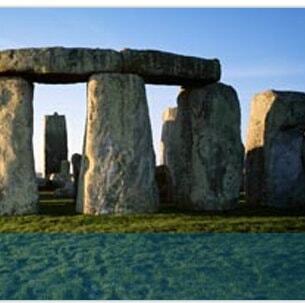 They also offer a unique opportunity to go beyond the Stonehenge fences and enter the inner circle. Their Stonehenge special access tours can also be arranged for private groups - whichever tour you choose, they promise a truly unique and memorable experience you won't forget. Other highlights on this tour include: Salisbury Cathedral, Avebury Stone Circle, Old Sarum Castle, Glastonbury Abbey and Tor, King Arthur's Avalon, Georgian City of Bath, The Cotswold's and much more. Stay in one of London's trendiest and most affordable hotels, citizenM, which is conveniently located right in the city centre where almost everything is within easy reach. The London Bankside hotel offers 192 stylish rooms that are equipped with modern amenities, including a rain shower, international plug system, and free movies and Wi-Fi. The hotel also has a cosy lobby where you can hang out, meet new friends, surf the net, and read design-led books. The family-run hotel is strategically located near different transport systems which makes it very accessible for guests. They can easily visit some of the main attractions in London, including the Buckingham Palace, The London Eye, and Westminster Abbey. Luna Simone Hotel was established in Victoria back in 1970 and now it is considered the second home of many tourists. Find comfort during your stay as each bedroom is equipped with deluxe facilities including LCD TV, tea/coffee maker, hairdryer, and safety deposit box. Do you know what's better than ice cream? 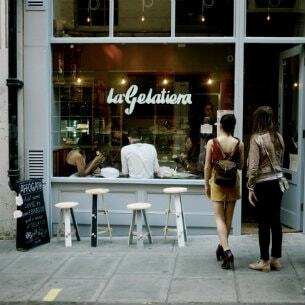 You'll find out once you've visited La Gelatiera, which is home to the finest gelato in London. It has received many recognitions and awards, including Telegraph's “Top 10 Best Ice Cream Makers in the UK” and Dissapore's Best Gelateria in the World. La Gelatiera also won back to back at Great Taste Awards' “Top 50 Foods Award”. The gelateria only uses the best ingredients to produce an assortment of gelato and sorbet flavours. They use 100% natural ingredients so you are assured of being free from preservatives and additives. They also make their gelato daily and in small batches to ensure quality and freshness. Get a chance to meet great people and taste great steak and wine at Goodman City. What makes their steak great is that their meat are aged on site and are cut on request. Their meat undergo a dry-ageing process to bring out the full flavor of the steak. Goodman City gets their wine from 30 suppliers and they have tasted each wine to make sure it matches their menu. Apart from steak and wine, you can also enjoy their delectable side dishes and mouthwatering desserts. The restaurant is willing to go through the long process just to provide the best food and wine to their customers. Goodman Restaurants also have branches in Mayfair and Canary Wharf. Feedback: Love it... use it often AND tell me friends!